After requests from schools and students who have become familiar with my work and use examples in their projects, I have devised the Urban Challenge workshop I take into schools. 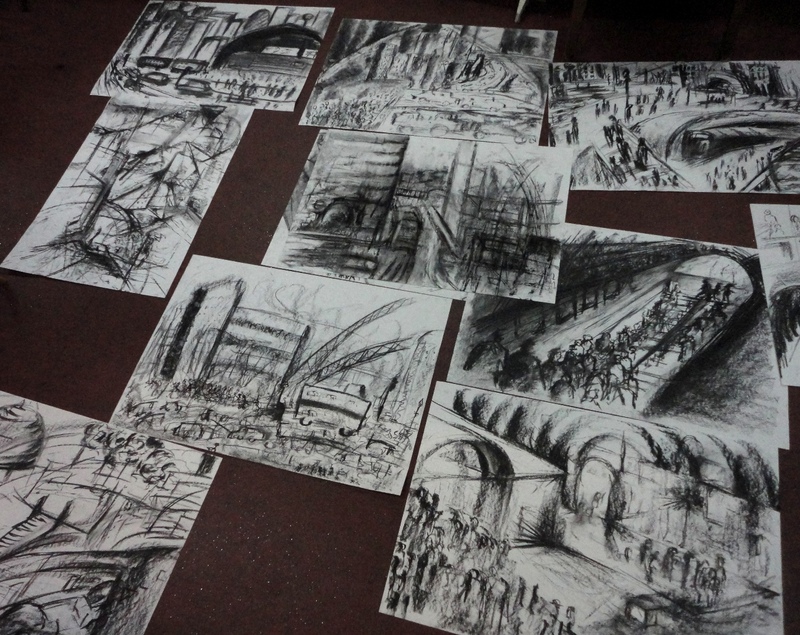 Combining contextual study and secondary sources the energy of the city is explored through drawing. The dynamic handling of materials encourage the development of an image from speculative beginnings towards a considered conclusion. Starting with an illustrated power point presentation, I explore my own and other artists work in response to the city. 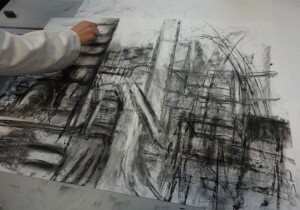 Then through instinctive and imaginative exercises she enables the students to develop a more personal visual language. 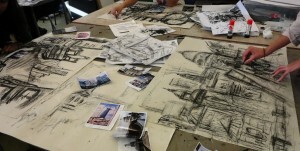 They then go on to create their own cityscapes from a diverse range of photographs. 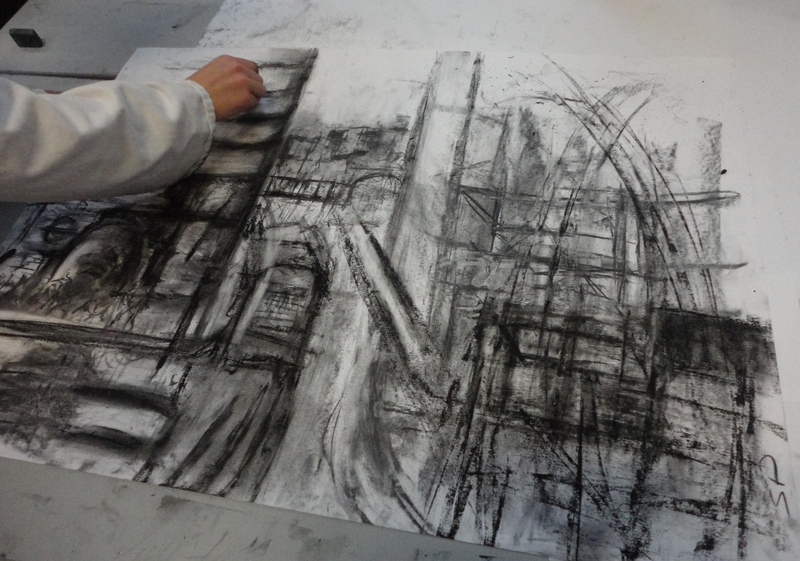 Depending on the time format, pupils may also go on to work from historical sources and create an imaginative structural drawing. This workshop is designed for year group 9 and above. It requires each participant to have space to be able to work comfortably with an A1 piece of paper, usually this is on tables but working on a large empty floor is acceptable. I have recently been asked to work with younger groups including Prep schools were along with drawing exercises we end the session making 3D abstract tower models, which have been a great success. I am based in London but can travel beyond to schools I could reach for generally a 9.30 start and the day to finish at 3.30 for secondary schools. Half days are 2-3hours. There is a possibility of staying in overnight b&b accommodation the night before if the school is a long distance away, this and any additional expenses, meals, taxis etc will be added to the full day fee. Full days at schools and colleges are generally from 9.30 – 3.30 and the fee is £270 , half day fee £180. Travel expenses will be added to the fee. I teach a limited number of these workshops per term.